The stone you see stone veneer you see in pictures, on walls, homes, fireplaces, and countless other places has one heck of a journey. I'm not a geologist or scientist but I know stone is created over thousands of years here on Earth. We source it from quarries and fields to ensure it's a stone we can work with and it's extracted the right way. We call it natural stone but many people would refer to it as "organic" since there is no change to what the stone is made of, it's simply reshaped and resized. I could continue to write about process all day but this video provides a nice summary of our process and how it goes from quarry to your project. Enjoy! We hope this video helps provide you with a better understanding of how we our natural stone goes from the Earth to you. 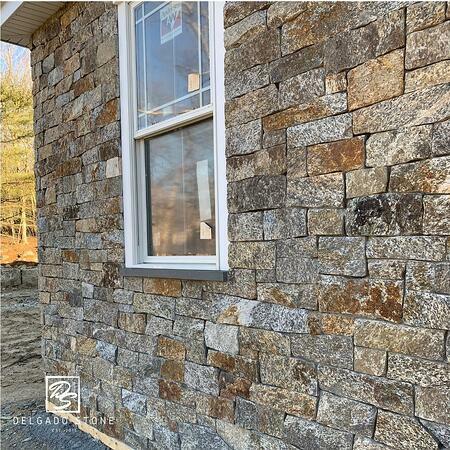 When it comes to real stone veneer, there is no substitute.